Here’s another easy-peasy recipe that you can add to your holiday spread, or package up for gifts! And it makes a ton, so there really is plenty for a crowd. And did I mention they’re delicious? Because they are. The original recipe instructs you to refrigerate the truffle mixture for an hour, but I take a shortcut and roll them into balls immediately. This is particularly beneficial if you decide to roll them in nuts,* because they adhere much easier to the softer truffles than when they’re hard after refrigerating. *I like to use ice cream nut topping because the nuts are chopped nice and fine, salted, and have a little sugar added. As a last note, if you like the look of truffles rolled in cocoa powder but don’t like the bitter edge to them, you can add powdered sugar to your cocoa to sweeten it before rolling. It’s been a while since I made these, but I’m 95% certain this is what I did, and that little white spot on one the truffle in the back on the right most likely confirms it. (Might want to sift your powdered sugar so it blends perfectly!) I think I remember remarking that they seemed more likely to be approved by the general public, but I do like the bitterness of pure cocoa to contrast the sweet truffle. Whatever floats your boat! In a large bowl, beat cream cheese until smooth. Gradually beat in confectioners’ sugar until well blended. Stir in melted chocolate and vanilla until no streaks remain. 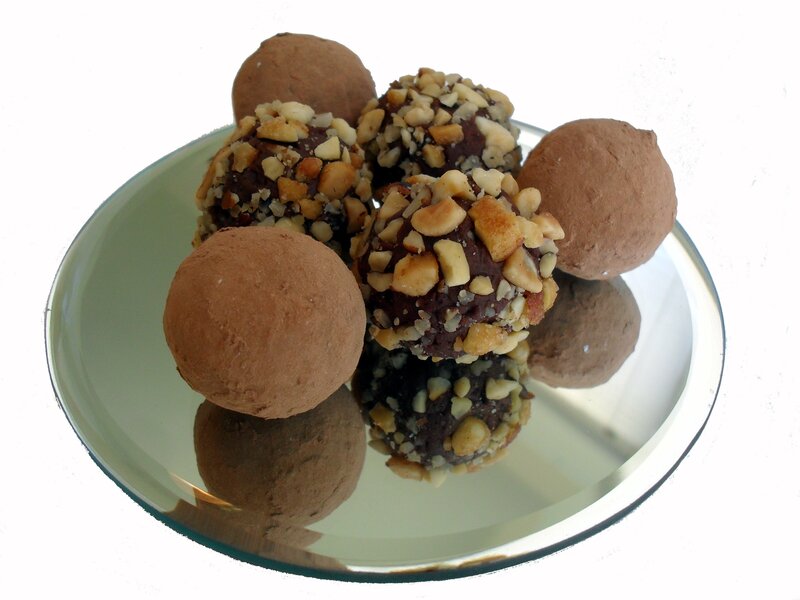 Shape into 1 inch balls, then roll in cocoa powder, finely chopped nuts, or powdered sugar. Store in an airtight container and serve at room temperature. You may refrigerate the truffles if you won’t be serving them for several days, but remove them at least ½ hour before serving. Posted in Candy and tagged chocolate, cream cheese, easy, edible gifts, gifts, holidays, recipe, truffles. Bookmark the permalink. Good tip with the ice cream nut topping! You are a Christmas treat-making machine! If I were your neighbor, I think I would be 100 lbs overweight. =) Then again, you’d probably make me laugh constantly (and if not you, then Dennis), so maybe that would help burn the excess calories, who knows. I love your recipes!! You are awesome! 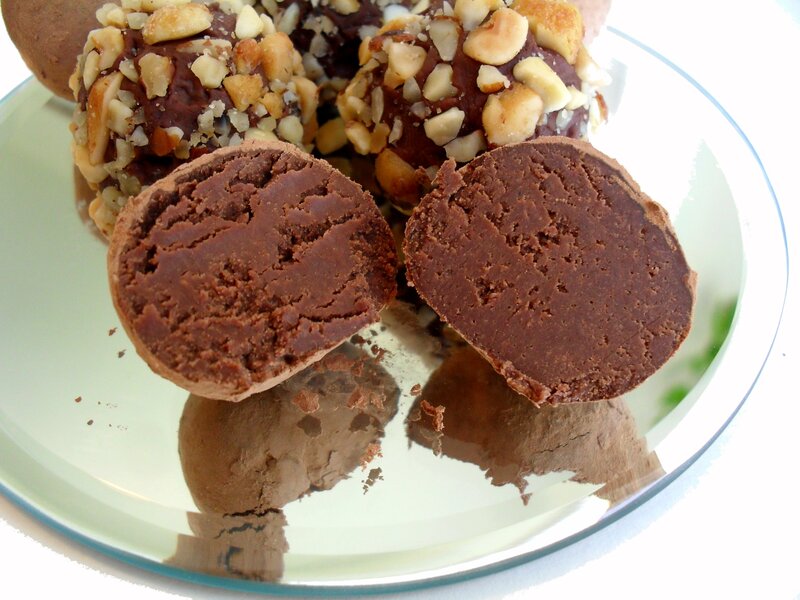 I would love these truffles and your photos look fantastic!